In last post of this series I had described you about our visit to various temples of Haridwar which we had left last day during sightseeing tour of Haridwar due to the shortage of time. 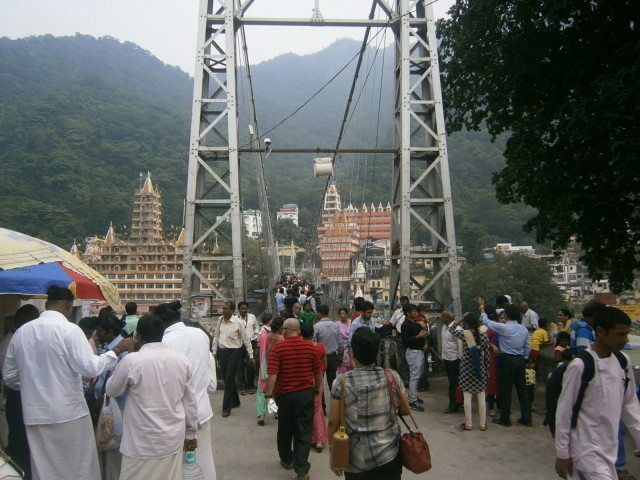 Now after completing our Haridwar tour in the morning, we headed towards Rishikesh. It had been drizzling since morning and the weather had become very pleasant. We were really enjoying the weather as well as the way with a lot of curiosity in mind because it was our first chance to see Rishikesh. The road condition was not so good but the scenic beauty on the way was captivating and enjoyable. We witnessed many temples on the way too. The distance from Haridwar to Rishikesh is hardly 30 Kms and it takes approx one hour to reach there by taxi. In the last post of this series I had narreted how we arrival to Haridwar and performed Ganga Snan at Har Ki Pouri. Now we were free from Har ki Pouri and walked to our cab. Driver informed us that now he was taking us to Mansa mata temple. Mansa Devi Temple is a Hindu Temple dedicated to goddess Mansa Devi in the holy city of Haridwar in the Uttarakhand state of India. 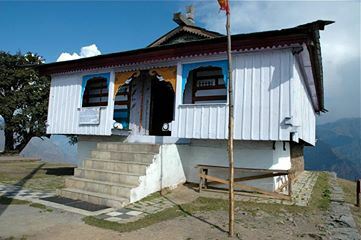 The temple is located atop the Bilwa Parvat on the Sivalik Hills, the southernmost mountain chain of the Himalayas. Bilwa Tirth is one of the Panch Tirth (Five Pilgrimages) within Haridwar. 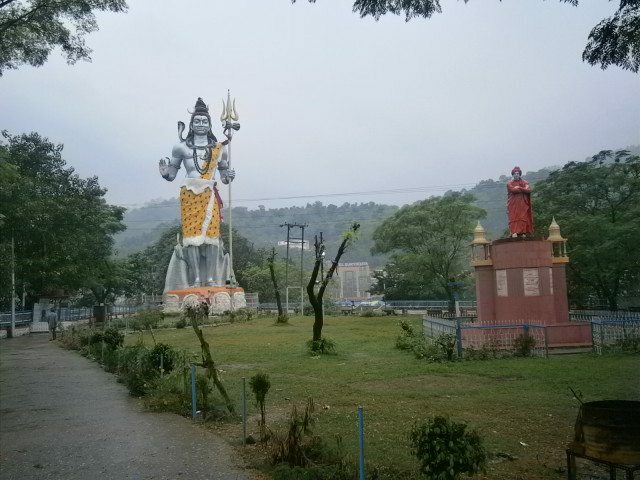 Haridwar - A gateway to heaven.. It has been really a long time since I last posted any travelogue on my blog. Due to various official as well as domestic engagements I couldn’t write any post since almost 10 months. Though writing posts was stopped but ghumakkari was continuously going on. In last few months I have visited Haridwar and Rishikesh and recently I had been to my dream destination Jammu and Kashmir, so I have many stories to share with you. 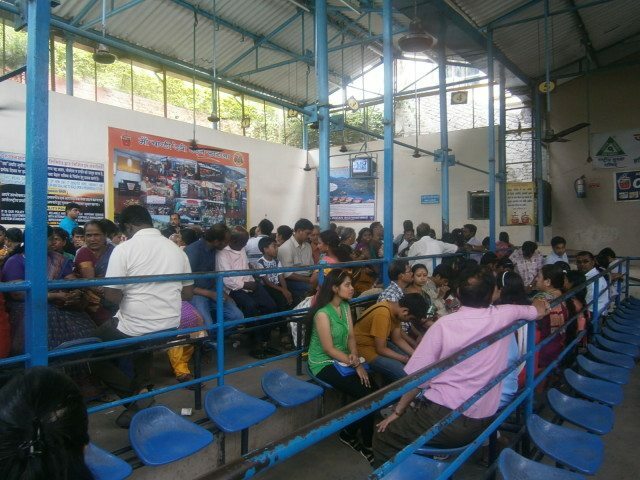 Let us start with Haridwar- Rishikesh trip. After our last trip to Himachal Pradesh in May 2014, 5-6 months were passed and our ghumakkar heart started beating for a new trip. On the Rakshabandhan in August, 2014 we had visited my parents place to celebrate the festival of Rakhi and at a fine evening we all family members together were having chat on various subjects, obviously including our ghumakkari. During the discussion I asked my mother to join us in our next trip and she agreed happily which I didn’t expect because she merely agrees on going outside her place. पिछली पोस्ट में मैने आप लोगों को बताया था की किस तरह से हम बिजली महादेव के कठीन तथा दुर्गम रास्ते को पार करके हम अन्तत: बिजली महादेव मंदिर तक पहुंच ही गए थे, अब आगे…..
बिजली महादेव मंदिर अथवा मक्खन महादेव मंदिर संपूर्ण रूप से लकडी से र्निमित है. चार सीढियां चढ़ने के उपरांत दरवाजे से एक बडे कमरे में जाने के बाद गर्भ गृह है जहां मक्खन में लिपटे शिवलिंग के दर्शन होते हैं. मंदिर परिसर में एक लकड़ी का स्तंभ है जिसे ध्‍वजा भी कहते है, यह स्तंभ 60 फुट लंबा है जिसके विषय में बताया जाता है कि इस खम्भे पर प्रत्येक वर्ष सावन के महीने में आकाशीय बिजली गिरती है जो शिवलिंग के टुकड़े टुकड़े कर देती है, इसीलिये इस स्थान को बिजली महादेव कहा जाता है. इस घटना के उपरांत मंदिर के पुजारी स्थानीय गांव से विशिष्ट मक्खन मंगवाते हैं जिससे शिवलिंग को फिर से उसी आकार में जोड़ दिया जाता है. अगर बिजली के प्रकोप से लकड़ी के ध्‍वजा स्तंभ को हानि होती है तो फिर संपूर्ण शास्त्रिय विधि विधान से नवीन ध्वज दंड़ की स्थापना कि जाती है. यह बिजली कभी ध्वजा पर तो कभी शिवलिंग पर गिरती है. जब पृथ्वी पर भारी संकट आन पडता है तो भगवान शंकर जी जीवों का उद्धार करने के लिये पृथ्वी पर पडे भारी संकट को अपने ऊपर बिजली प्रारूप द्वारा सहन करते हैं जिस से बिजली महादेव यहां विराजमान हैं. बिजली महादेव की यादगार पैदल यात्रा ……..
सभी घुमक्कड साथियों को दशहरे की हार्दिक शुभकामनायें तथा आने वाली दिवाली की अग्रिम शुभकामनाएं. पिछली पोस्ट में मैने अपलोगों को हमारी रोहतांग की बर्फिली यात्रा के बारे में बताया था, और लीजिए अब आपको आगे की यात्रा पर ले चलता हूँ. आज YHAI कैम्प में हमारा चौथा और अंतिम दिन था, और अपने तय कार्यक्रम के अनुसार आज 22 मई को हमें अपनी इस हिमाचल यात्रा के अंतिम पड़ाव यानी “बिजली महादेव” का सफर करना था. कैम्प में तीन चार दिन साथ रहने से बहुत से लोगों से परिचय हो गया था और कुछेक से आत्मीयता भी. काल रात की जबरदस्त थकान के चलते सोते समय ही निश्चय किया था की सुबह देर तक सोएंगे और देर से ही बिजली महादेव के लिए निकलेंगे सो सुबह आराम से ही उठे और नित्यकर्मों से निवृत्त होकर नाश्ता करने के लिये फुड ज़ोन की ओर चल दिए. कैम्प के कुछ लोग पिछले दिन बिजली महादेव जाकर आ चुके थे और हमें आज जाना था सो हमने उनलोगों से बात करके जानकारी ले लेना उचित समझा. सभी का कहना था की जगह तो बहुत सुन्दर है, माइंड ब्लोइंग है लेकिन रास्ता बहुत कठिन है, बल्कि कठिन के बजाए दुर्गम कहना ज्यादा सही होगा. दरअसल बिजली महादेव एक पर्वत के शिखर पर स्थित है तथा वहां तक जाने के लिए कोई साधन उपलब्ध नहीं होता, करीब दो घंटे की खड़ी चढ़ाई पैदल ही तय करनी पड़ती है, यहाँ तक की घोड़े भी उपलब्ध नहीं होते. एक स्थानीय युवक काम पर जाते हुए..
By Education I am an Engineer, By Occupation I am a Quality Manager but by heart I am a travel lover, a music lover, a literature lover and above all a family lover. Mukesh Bhalse. Simple theme. Powered by Blogger.